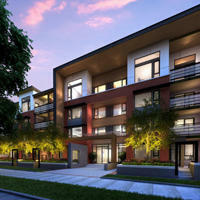 Polygon’s apartments at River District Vancouver: Great success! After a very successful release of Polygon's second and final building, New Water, we are pleased to report that over 100 homes are now sold! 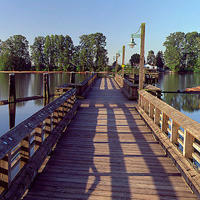 Buyers from all over the Lower Mainland have been raving about this up-and-coming new neighborhood. With the community pier, new park, kids playground and Romer's waterfront restaurant and patio all active, there is much happening to get excited about. This limited collection of homes will boast West coast modern architecture defined by the strength and quality of its brick, concrete and steel facade, married with the warmth of natural fir wood details. Inside, these one, two, and three bedroom apartment homes offer the latest in contemporary finishing including high-end stainless steel appliances from Fisher & Paykel and Bosch, quartz counter-tops, and laminate floors. AND they are located just a block from the water! With the opportunity to own a Vancouver home in a riverside neighborhood for such a great price, it's no wonder there is so much interest in New Water! New Water will be the first apartment residences in the re-development of the River District Vancouver neighborhood in South Vancouver. With the addition of new schools, parks, shopping, dining, and more it is poised to be a landmark community and one of the most desirable new places to live in Vancouver. The Polygon family of companies is among the most well-established and highly respected home builders in British Columbia. Locally owned and operated since 1980, they have built more than 19,000 homes throughout the Lower Mainland, ranging from concrete high–rises to wood-frame condominiums, town-homes and single–family communities. Polygon is also active in the construction of new single family homes through its sister company, Morningstar Homes. They build homes based upon their four main principles (known as the Polygon Foundation) of trust, sincere care, forward thinking and environmental responsibility. It's their belief in these principles that make Lasso Data Systems proud to have Polygon as a client of our CRM Real Estate Software. For more information on New Water call 604.221.8865 or visit the sales office, 12 to 6pm daily except Friday, @ 8688 Kerr Street. 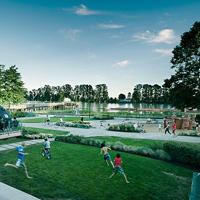 Click here to watch a video on New Water – premier apartments @ River District Vancouver.